Google Now is seemingly getting smarter almost every week, at least that's how often we seem to run into subtle (but clever) changes. 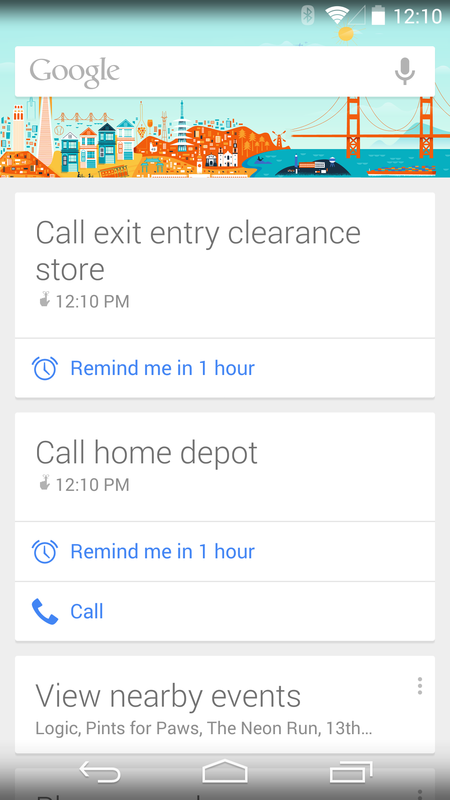 By now you probably know that with Google Now, you can set reminders for just about anything. 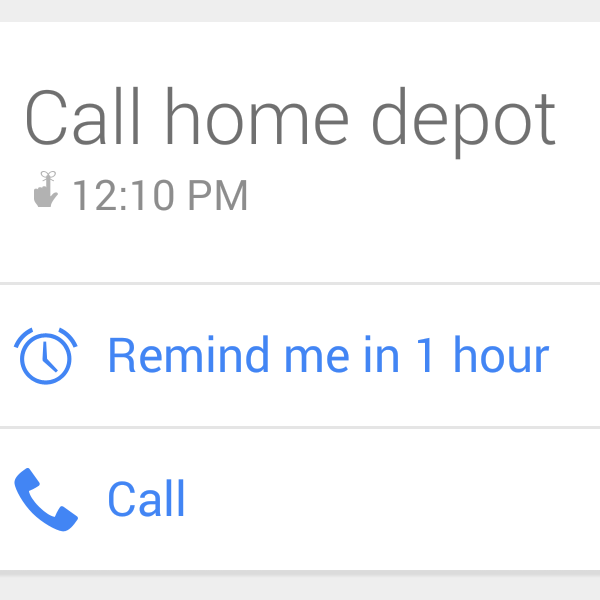 "OK Google, remind me to call the doctor tomorrow at noon" will let you set that reminder with a single tap. The first screenshot shows the card that pops up to remind you to "call exit entry clearance store" (a fictitious store). Because Google can't match that to a phone-book style entry, it's a simple reminder with no dynamic link. 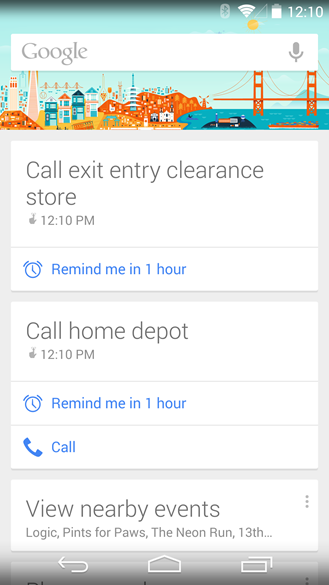 But "remind me to call Home Depot" recognizes the command as linked to a business, and integrates the call button with Google Maps in the second card. Touch the call button and you'll see a list of local matches for the business, each of which can then be dialed with one additional tap. The last screen there is simply Google Search with the query to "call Home Depot" which brings contextual results, complete with the the map and contact information. But it's that bit of magic that makes all of these come together so painlessly that makes Now and its tricks so special. Obviously the utility of this feature will vary depending on exactly what you're doing and where. 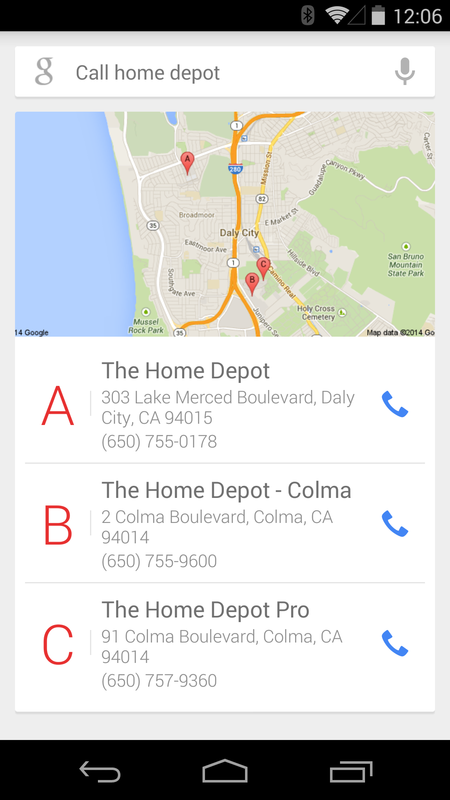 But the fact that it's in there shows the amount of depth that the company is building into Google Now. Neato.